It’s been a couple weeks since the NOLA Blue Doo Run on Tulane’s uptown campus, but now is never too late to post a recap. This first year event benefitted the Prostate Cancer Research Fund at Tulane, and with the color blue being the hue representing awareness for the disease, it was appropriate that numerous blue wigs, outfits, and costumes washed over the quad just off St. Charles Avenue. There was no shortage of entertainment as runners arrived in the hour leading up to race time, as the Tulane Sound Wave band played current pop hits continuously. The only break in their set came as the 610 Stompers performed their moves and delighted attendees. Also on-hand were a large number of vendors and sponsors who manned tents, providing giveaways and literature to further the message of prostate detection, treatment, and awareness. The route for the 2 mile race was quick, but highlighted many of the beautiful landscapes of the university’s campus. The initial stretch was along a tight corridor bordering the west side of the campus; however, once crossing Freret Street, the course gave way to a wide path that passed in front of columned facades of original school buildings, more modern student unions, and eventually approached the newest additions to the historic Tulane campus. After circling past the Riley Center athletic facility, runners were given a glimpse of the freshly christened Yulman Football Stadium and the baseball field. The brief out-and-back that bordered these complexes was nearly the final stretch in a very quick race, but the most impressive highlight on the course was the finish under the NOTC arch. It was situated dead center in the middle of Tulane’s lush quad. 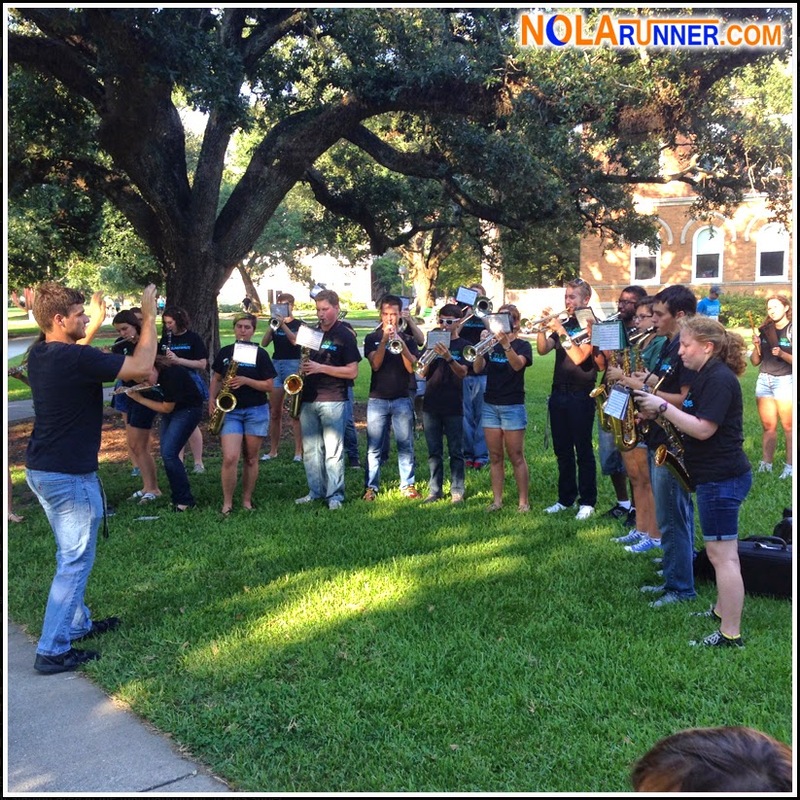 As the Tulane band played on, the shady oak trees made for a picture perfect setting to cap off the event. With the setting sun creeping on the event, a live band performed well in to the evening as several tents served food and beer to participants. Cool wrought metal trophies were presented to top finishers, and plaques were awarded to age-group leaders. The NOLA Blue Doo Run has a ton of potential for growth, as the affliction of Prostate Cancer touched many local families. With one of the leading researchers on the topic being based out of Tulane, it makes perfect sense for the community to get behind the cause. However, with that growth comes the need to tweak the course to accommodate a larger participant field. My main concern would be the starting area that tended to be a bit constricting; however, there are numerous places where that could be moved when the need arises. As long as the finish remains in the same location, I’ll be happy! 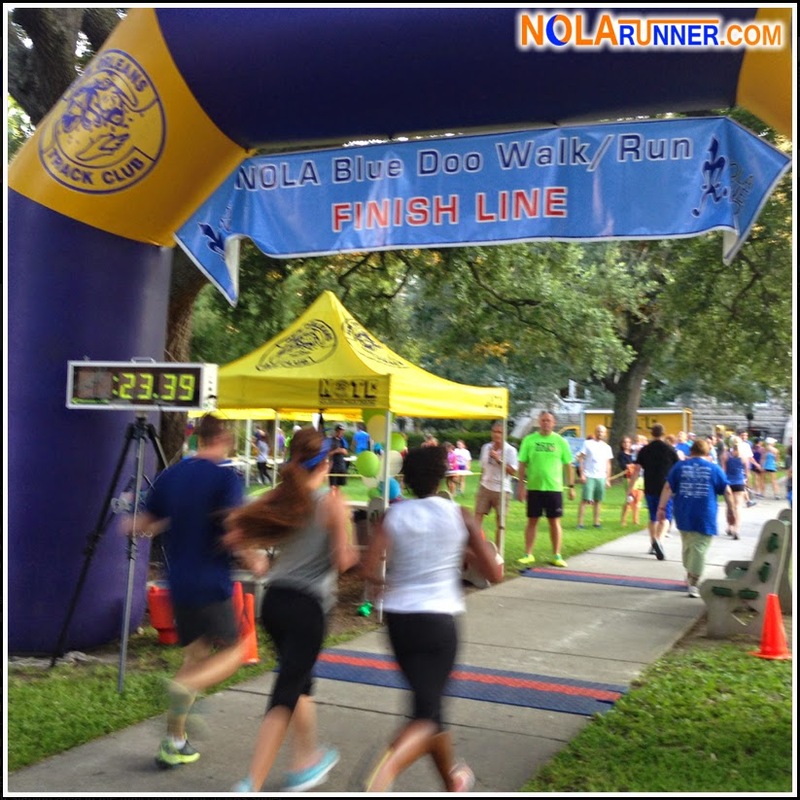 The vein of blue that ran through every element of the first ever NOLA Blue Doo Run tied it all together and made for an exceptional race. I liked the short distance and evening start time, as it made the summer heat bearable. With final numbers still being tallied, over $130,000 was raised to combat a disease that affects countless men and their families. If you’d like to experience a taste of this year’s race, check out the NOTC’s YouTube channel for a recap video HERE. 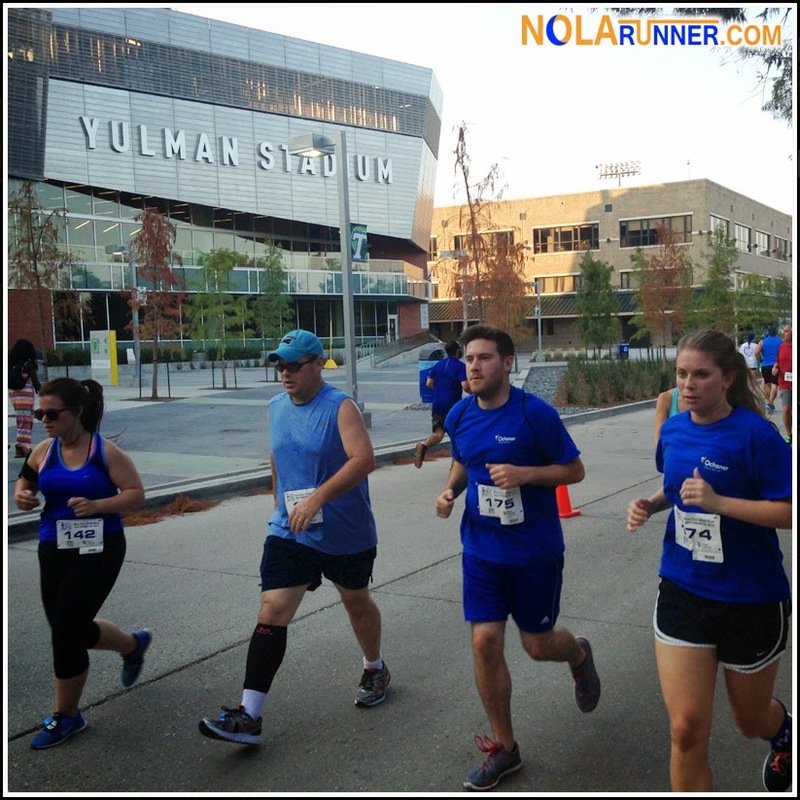 Like and share the photos from the NOLA Blue Doo Run below, and see more on the NOLArunner Facebook page HERE. Official race results from this year’s event can be seen HERE.